Natural Health Works offers a range of treatments for mothers-to-be. Osteopathic treatment offers a wonderfully gentle way of helping the body adapt to the changes which are taking place during pregnancy, helping to relieve aches and pains as mother’s body tries to accommodate the growing baby. 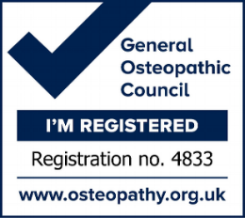 Osteopathic treatment can often help with low back pain, hip and pelvic pain, neck and shoulder pain, symphysis pubis dysfunction, post-natal pain, and mid back pain due to breast feeding, to name but a few. Your Osteopath may advise and show self-help techniques mother and her partner to do during labour. Blacksmith House Clinic, First Avenue, Hook End, Brentwood, Essex CM15 0HL. © 2016 Natural Health Works. All Rights Reserved.